Having a child is so many wonderful things. As a parent, you want to impart your wisdom to them and make sure their life is better than yours. So, is it wise to use technology to make sure they follow the right path? You remember the lines from your parents. “Don’t do that!” “If she jumped off a cliff, would you?” And many other famous ones everyone knows from when they were growing up. Every parent wants to share their stories as an offering for children to avoid making mistakes. You want to give your children advice and let them have their own life experiences. But, sometimes, do you wonder if your children are actually listening to your words of wisdom? It’s tough to give advice and have your child roll their eyes or see in their face they are not listening. Especially once a child gets to the pre-teen or teenage years, it seems harder to get through to them. Many children don’t believe you; they think you are setting extreme limits. Some children will try to defy you or test boundaries. Children are curious by nature and will likely explore no matter what you tell them. As a technology based society, new tools are surfacing that can put knowledge in the palm of your hand about your children’s whereabouts and more. Social media monitoring, location tracking and many other tools aid parents with information to start conversations about safety measures. While being curious is very good and helps children learn and grow, many times curiosity leads to dangerous situations. Would you/do you use tools to get a sense of security while your children explore the world without you? Whether you talk without the tools or use the tools to start the talk, making sure children are safe is the ultimate parenting job. 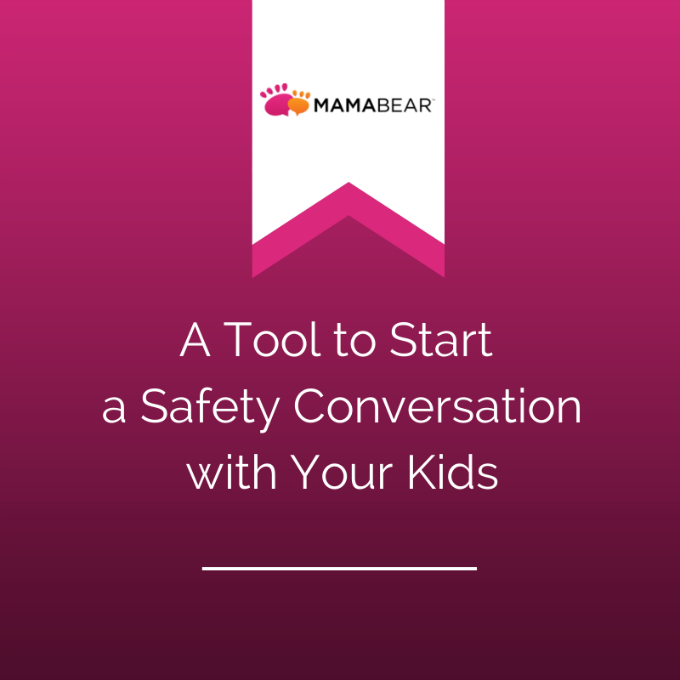 The MamaBear App is a tool that tells you where your children are, where they’ve been. It tells you when they make new friends in social, when tagged in a message, photo or at a location and notifies you of inappropriate or bullying language on their social profiles. Monitoring safe speed driving is an added feature. You can download the MamaBear App in the Apple iTunes store here.